We’d love your help. Let us know what’s wrong with this preview of Schneier on Security by Bruce Schneier. - When the Internet Is My Hard Drive, Should I Trust Third Parties? To ask other readers questions about Schneier on Security, please sign up. Bruce Schneier is a well-known and colorful figure in the security industry and distinguishes himself for his broad interests related to security and for being a good story teller. These traits can be found in his book, which is a collection of essays on various security topics. The book is particularly suited for layman audience but can be a little bit repetitive. 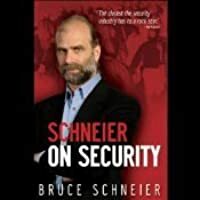 Admittedly, the points stressed over and over are important and worth remembering, particularly the notions that security decisions a Bruce Schneier is a well-known and colorful figure in the security industry and distinguishes himself for his broad interests related to security and for being a good story teller. These traits can be found in his book, which is a collection of essays on various security topics. The book is particularly suited for layman audience but can be a little bit repetitive. Admittedly, the points stressed over and over are important and worth remembering, particularly the notions that security decisions always involve trade-offs, that security systems design often entail unintended consequences and the potential "externalities" of the current digital presence. Similar notions can typically be found the field of economics, which makes the parallel between the two areas interesting. Schneier mentions the link between security and economics loosely in several occasions and draws public policy implications which are often unconvincing. It is possible that the advocated policy ideas are the result of an in-depth economic analysis, which did not make it to the book, but I am skeptical. In particular, many policies seem to ignore Public Choice Theory analysis. To be fair, one cannot blame him for not being a trained economist, but precisely because of that it might have been better to focus less on pushing policy and instead make the parallel between economics and security more concrete. On a positive note, it was interesting to read his essays about the NSA data collection, published in a time where they were mostly speculative and contrast it the recent revelations on the various NSA programs: they confirm to large extant the author's insights about surveillance programs. Schneier has a great view on things when it comes to security and this book reflects that. He has chapters that discuss all the important topics of the day from air line safety, to the Internet, and Homeland Security. The topics tend to be more about the general ideas and themes of security rather than the nuts and bolts of how to be more secure. He correctly points out that we often do what makes us think we are more secure, even when it doesn't really make it so. Our government would be better Schneier has a great view on things when it comes to security and this book reflects that. He has chapters that discuss all the important topics of the day from air line safety, to the Internet, and Homeland Security. The topics tend to be more about the general ideas and themes of security rather than the nuts and bolts of how to be more secure. He correctly points out that we often do what makes us think we are more secure, even when it doesn't really make it so. Our government would be better off if the people in the Congress had to read his book before passing anymore laws that cost too much for to little (or no) benefit. If there is a downside to this book, it is that it is a compilation of his essays from various magazines and blogs. If you already read his blog, chances are that you already know what a lot of this book says. This is a collection of Bruce Schneier writings, from his blog, various websites, etc. It's organized by topic, rather than date or original source, so you get sections on security, privacy, etc. Each individual article is filled with Schneier's usual brilliance. It's obvious they weren't meant to be all put together, though. Each article is a standalone piece. There's no flow between them, he often hits the same idea repeatedly in different ways, etc. I don't fault any of the individual articles This is a collection of Bruce Schneier writings, from his blog, various websites, etc. It's organized by topic, rather than date or original source, so you get sections on security, privacy, etc. Each individual article is filled with Schneier's usual brilliance. It's obvious they weren't meant to be all put together, though. Each article is a standalone piece. There's no flow between them, he often hits the same idea repeatedly in different ways, etc. I don't fault any of the individual articles, but sitting down and reading it sequentially doesn't work well. If you're not familiar with Bruce Schneier, I'd recommend starting with his other books, like Beyond Fear, rather than this. If you're looking for a collection of his material, this works, even though it doesn't make a very good read as a whole. So many people claim to be experts in our field and spout the same old rhetoric. Bruce truly has a grasp of the principles that make our field interesting to me. I do not agree with everything he says, but even when I disagree, I find his arguments compelling and challenging. This series of articles is well worth the read for people in and out of the security field. Bruce addresses many topics from the predicted technical security, to identity theft and on to terrorism. Pick it up and enjoy... or So many people claim to be experts in our field and spout the same old rhetoric. Bruce truly has a grasp of the principles that make our field interesting to me. I do not agree with everything he says, but even when I disagree, I find his arguments compelling and challenging. As always, Schneier presents a variety of security problems and solutions of varying levels of complexity, examines and scrutinizes others' security proposals in a straight-forward manner, and explains the logic he used to reach his conclusions, and does all of this very well. Though all of it is interesting, his ideas on systems of economic incentives and disincentives, voting security, and security and politics are of particular noteworthiness. A roughly collated collection of mini-essays focusing on the economics, politics or pop. psychology of security issues. The scatter-shot selection of the essays enjoyably and pragmatically covers a broad collection of topics if only to say (from 2009) "See I told you that was crap, in Wired, in 2002". The grumpiness is mostly endearing and "the way things should be" is jingoistically American but perhaps not insidiously so. A nice collection of short essays grouped together by topic that provides a better view of each topic as a whole. Slightly disjointed simply because it is a collection of making it difficult to build a larger overall case without any framing of the essays as examples. A good read but not outstanding. It's a wake up call in some ways and I like the way he pounds his points home. Certainly got me thinking a lot more about ubiquitous security. However as a book - this is more a collection of all his published articles so they are repetitive as his points evolve. I wish it was written more like a book. While I love Bruce Schneier's writing, it it really tough to plod through all of this material in a single book. If only there were an indexed, searchable, digital way to expose this material. It would form a web of articles, all in a single site; how about calling it a "website?" I'd read a number of selections in other places, but having it all in one place makes this a great book for someone trying to understand the security landscape of the modern world. Lots of points to dive in where your interests align. There are interesting nuggets here, but the book is nothing more than a collection of his writing. For long time readers there'll be repetition and some of the content is somewhat less relevant years after it first came out. Worth a read though. I had read the majority of these essays in their original venues or online, as it turns out. Schneier is one of the most cogent people writing on matters of security; what hurt the most re-reading these pieces from 2006-2008 is what hasn't changed. Collection of essays Schneier published over the last decade or so. Schneier is always pointing you at the 'security mindset', think out of the box. I especially enjoyed the chapter about why he leaves his private wifi network open and the chapters about the psychology of security. Great book with interesting insights on the current state of security and "security theatre". A good read for anyone interested in the topic of security! Actually they are posts from his blog which I enjoy. A series of previously printed articles. Some dated, some a bit repetitive. Not a bad book. A collection of his articles and essays that have been published in various locations - Bruce's material talks about security concepts from a wide variety of angles and perspectives. A collection of short articles on various types of security practices by security expert Bruce Schneier. Lots of good information, except that most of it doesn't go into great depth. Schneier is great, and so are all these pieces. Sadly they're a bit repetitive when all lumped into one gigantic audiobook. Should be national security chief! 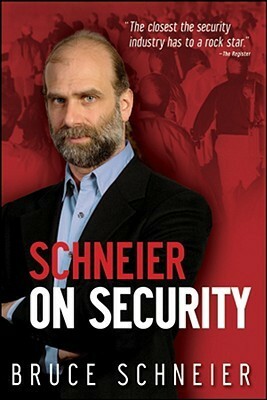 Bruce Schneier is "one of the world's foremost security experts" (Wired) and the best-selling author of thirteen books. He speaks and writes regularly for major media venues, and his newsletter and blog reach more than 250,000 people worldwide. He is a Fellow at the Berkman Center for Internet and Society at Harvard Law School and the CTO of Resilient Systems, Inc.